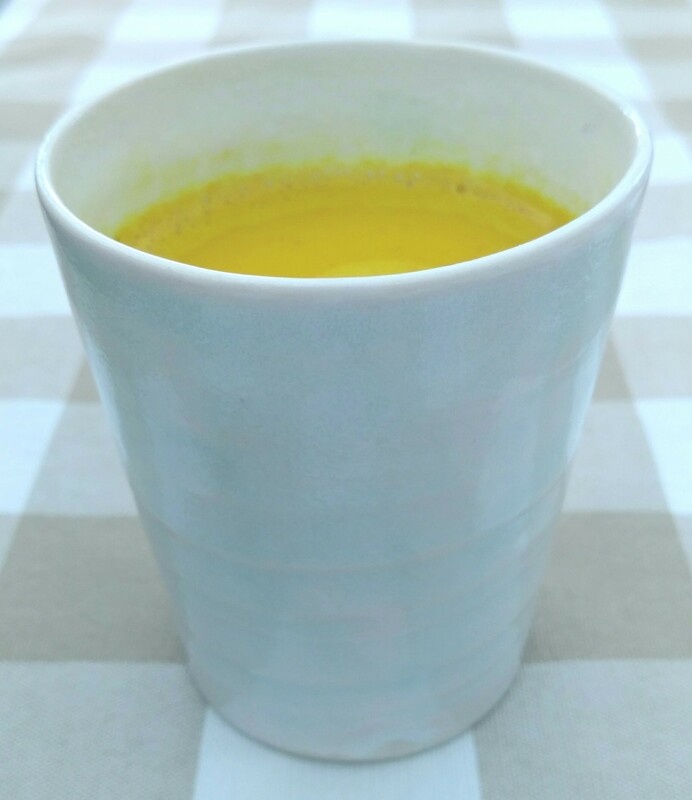 Golden milk is perfect for this time of year. The autumn equinox marks the passing from the harvest time of late summer, to the autumn season where dying leaves and over-ripened fruit drop to the ground and compost themselves into the earth. It bridges a time of nourishment and a time of letting go. You might feel this on emotional levels. Perhaps you have enjoyed a wonderful relationship with a person, place or activity, and now it’s time to move on. You might do this with a cold heart, suppressing feelings of grief or loss, or pushing away in anger or resentment. Or you can release gently, in the knowledge that it’s time. 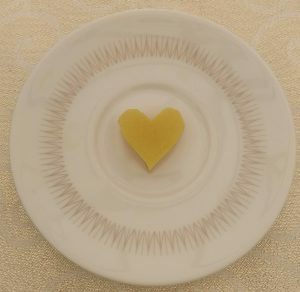 With a deep sense of gratitude for how well you have nourished each other. Feeling sad to let go, and moving gently through that sadness until you arrive somewhere new. Or you may experience this on physical health levels. There may be subtle signs that your body is overloaded, such as headaches, sluggishness and stiff or achey joints. Your skin might be spottier, duller or itchier than usual. You may feel constipated, or your stools might be loose or unpredictable. You may even have a cold, a tummy bug or similar illness. Or perhaps you just feel under the weather. and waste materials. Your lungs let go of stuff every time you breathe out, or cough. 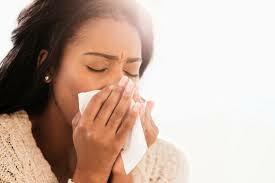 Your airways may express more mucous to also help rid your body of pathogens. Your skin releases toxins and waste with your perspiration, and also with rashes and fevers. Your colon (large intestine) eliminates every time you empty your bowels. When these main organs of elimination get overloaded or stagnant, they can get inflamed. Inflammation, particularly at gut level, can underpin to chronic conditions and illnesses in these areas, and indeed throughout the body. So not just eczema, psoriasis, asthma, colitis and irritable bowel syndrome; but also diabetes, heart disease, rheumatoid arthritis and cancer. There are many mechanisms for this, mostly related to how your immune system works. The Autumn Equinox is an ideal time to check in on these areas and give them a little extra space and support. You can do this with diet, with breathing techniques and with other practises that soothe and energise your body’s main routes of elimination. I’m a big fan of skin brushing, Epsom salt baths, castor oil packs, seaweed packs, enemas and other gentle practises, and frequently give advice around these. In terms of diet, mindful eating is always a winner. Bringing your full awareness to what you’re about to eat, and then savouring each mouthful of your food, triggers your digestive system to prepare for that particular meal. So there will be fewer undigested particles irritating the gut and creating inflammation there. It also helps you to be more present in your body and in the moment, which has been shown to downgrade stress and inflammation responses, so your immune system can work more effectively. 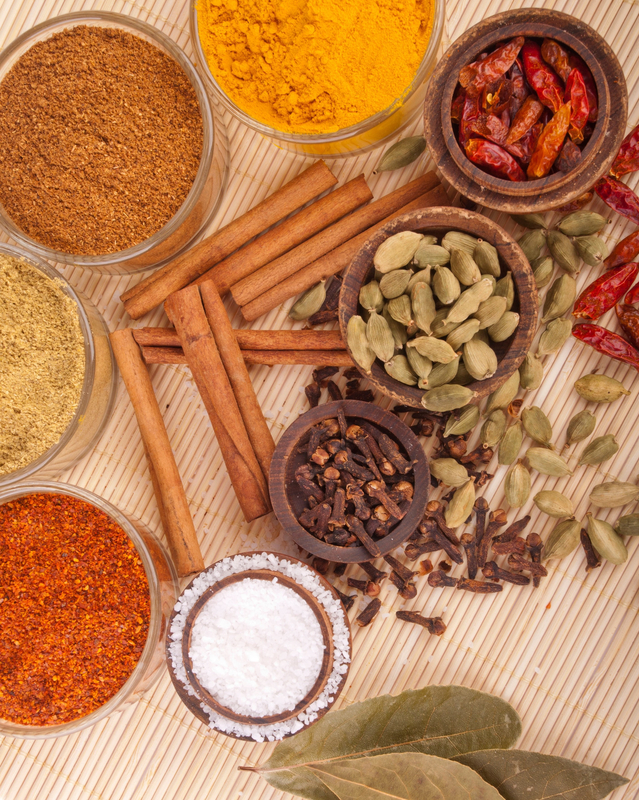 Including mild spices in your diet can also help you soothe inflammation in the gut, lungs and skin. Turmeric is one of the most studied spices in terms of its anti-inflammatory, anti-cancer and immune-boosting properties. 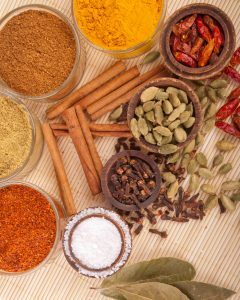 Other gentle spices, such as cinnamon, cardamon and nutmeg, have a similar range of anti-inflammatory and anti-microbial benefits. They also add warmth to the digestive tract, which is often important, especially as the weather cooks. Ginger is a little more fiery still, and may help you to sweat more in addition to its anti-inflammatory effects. Plus boost your immune system in preparation for the winter months. A touch of black pepper adds more antibacterial heat, and importantly, is necessary for you to more fully absorb the curcuminoids in turmeric. You can use some or all of these spices to make Golden Milk, a deeply comforting and anti-inflammatory drink. And then you can use Golden Milk in other recipes, such as those below. Occasionally I might also throw in a couple of cloves. Plus 1/2 tsp ginger powder if I’m needing extra fire, but be cautious with using too much ginger, as it can be drying. Make some dandelion coffee. I prefer the Cotswolds one, or home roasted dandelion root. Avoid sugary granules. 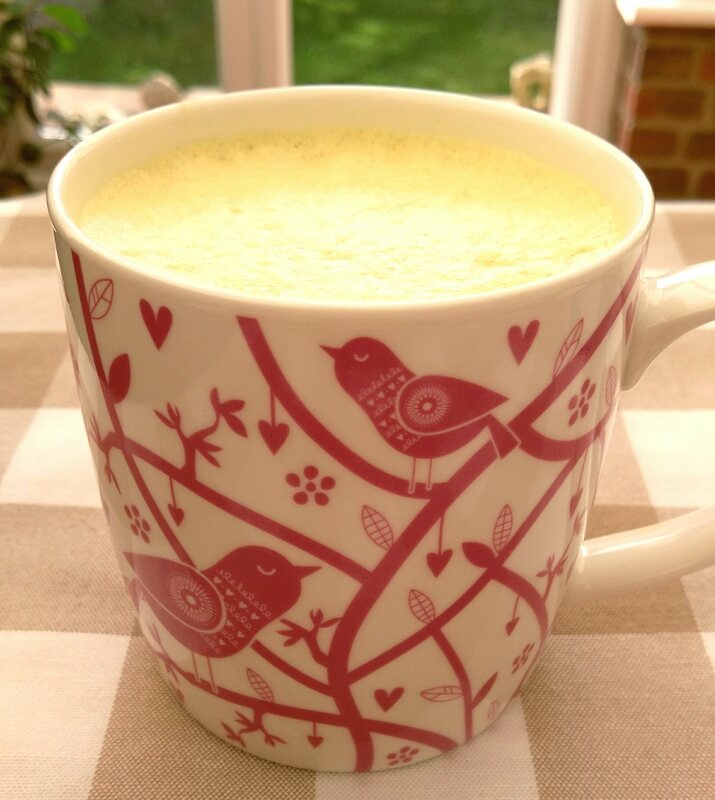 Froth up your golden milk in a blender and stir into the coffee. Ideally soak short grain brown rice overnight in water, then rinse well. Simmer for approx. 45 mins in golden milk. Also add a few sultanas or some grated apple to sweeten if you wish. Or you could also stir in a little raw honey or blackstrap molasses to sweeten just before serving. Often, however, the golden milk makes it sweet enough. Stir in a dollop of tahini to make it creamier. This is my very latest and most favourite thing at the moment. My tummy feels so happy when I eat them, and they are so simple to make. Recipe (and more gummi recipes) here. When making the golden milk for a savoury recipe, unsweetened hemp milk is probably the least sweet, or you could use goat’s or Jersey/Guernsey cow milk if you aren’t dairy free. Also use coriander powder and a bay leaf instead of cinnamon, plus some sea salt or tamari, and even some chilli flakes. 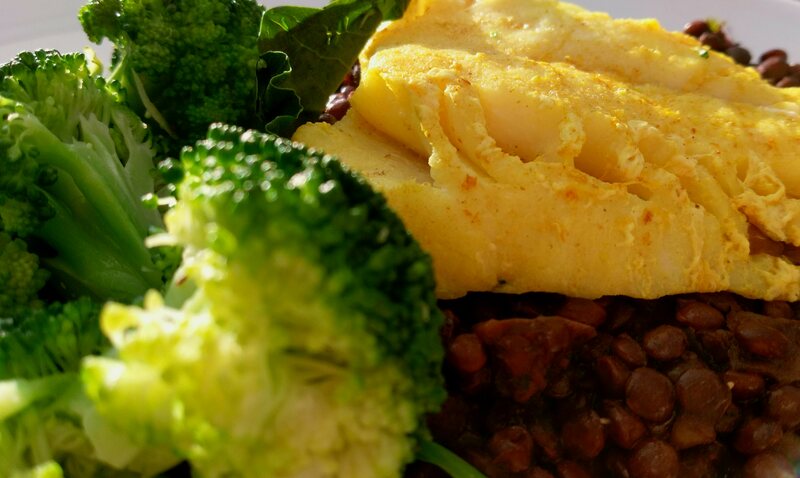 Serve on a bed of puy lentils and wilted spinach or watercress, with a side order of steamed vegetables or salad.